Elisa Perez, daughter of a sugar baron in Cuba, lived a vastly different life from her granddaughter, Marisol Ferrera. Elisa’s world is of wealth, and intrigue. Tabloid newspapers and quiet, refined lives. She knows what to expect in her life – courtship, marriage and then children (undoubtedly, in that order). But soon, the Cuban rebellion against Batista impacts even her quiet, sheltered life – in the form of one, unforgettable revolutionary. Many years later, Marisol is tasked with returning to Cuba to scatter her grandmother (Elisa)’s ashes. Marisol spent her childhood in her grandmother’s care and thus was raised on Cuban stories, food and culture. But hearing about Cuba and actually visiting it are two very different things. I read this one for the Reese Witherspoon Book Club – and all I can say is, wow. She sure knows how to pick them! 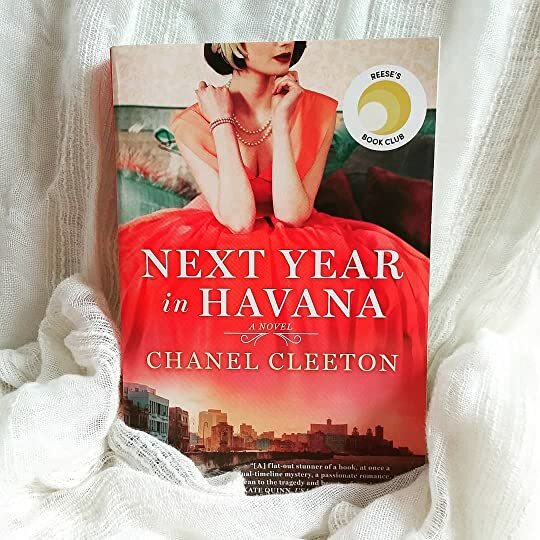 I was absolutely enthralled with the way the author wove together the two narratives – the back-and-forth between Elisa and Marisol was just perfect! Now, the book was a bit slow in the beginning but don’t let that dissuade you. It really picks up towards the middle – and that ending was on fire. I just couldn’t put it down!